Come celebrate your birthday with Grab! 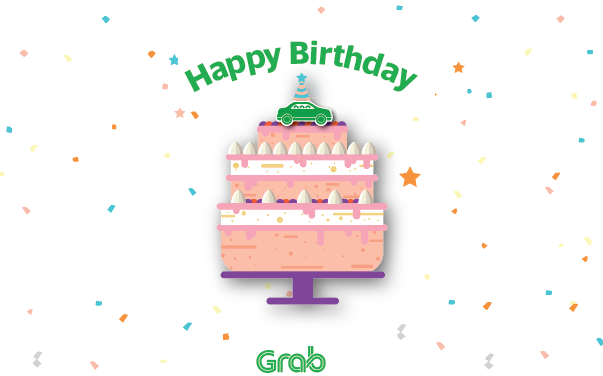 From January 2018 onwards, all eligible GrabCar & GrabTaxi Partners will receive a gift from Grab on your birthday month. So hurry and fill up the form below so you don’t miss out! Q: It is my birthday month! What will I get? Q: Do I need to update my birthday and address details before submitting a claim? A: We don’t want to miss you out! It will be best to fill up the form even if you have given us your birthday details previously to ensure you get your birthday gift from Grab fast! Q: When do I have to fill up this form to receive my birthday gift? A: You have to fill up your details by the end of your birthday month. Q: My birthday has passed! Can i appeal for my birthday claim? A: Enjoy your birthday celebration without worry! You can submit the claim by end of the first week of following month (calendar month). Example if your birthday falls in January, submit your claim by 3rd February, Sunday. Q: Who is eligible for the birthday gift? A: All active GrabCar & GrabTaxi Partners who completed more than 10 unique passengers bookings within the previous month of their birthday month are eligible! Example, if your birthday falls during February, you have to complete 10 unique bookings within January to be eligible. GrabCar Partner’s account will have to be active at the point of processing of application. Q: When will I receive my claim? Q: Will I be notified of my notification status? A: Notification will be sent to you via Grab Driver App for the outcome of your submission.